Although in theory the recession has been over for several years now, the impact of 2008 Economic crises had on small business is still there and it makes many small-time entrepreneurs struggling to pay their debts. In this article we‘ll share some general wisdom entrepreneurs should know about both paying and collecting debts. Bankers hate when they need to collect debts by liquidation and they would do almost anything to stop this from happening. One of the best offers debtors can get is renegotiating the loan and receiving better terms to pay off their debts. These renegotiations usually happen when debtors stop paying for their loan. For entrepreneurs who have money problems it is always better to pay their vendors, workers and landlords first and to leave loan payments to banks in the end of this list. After they miss one or several payments entrepreneurs need to contact the bank officials and explain them their situation in person. Usual result of these agitations is a payment delay and sometimes it is also possible to achieve debt forgiveness, but this happens in rare occasions, and in most situations people who plead for forgiveness leave empty-handed. This process may take several months to conclude and lots of companies get rejected every day, but for companies that don’t have enough means to pay their debts this is the only way out. • Chapter 11- this type of bankruptcy is for the companies that want to continue with their business afterwards. It gives more time to the director’s board to pay off company debts and creditors get some part of company shares. • Chapter 7- this type is for the companies that don’t want to continue with their business, creditors are usually paid of by the liquidated company assets. Company’s bankruptcy attorney should obtain all the documents about the debts and its creditors, income and loss statements and the list of company assets. He/she will present this to the bankruptcy court. Chapter 11 bankruptcy requires a financial reorganization plan that needs to be filed no more than 120 days after the petition. Creditors decide if they are going to agree on the plan and court decides about the validity of their objections. President of the board of directors usually meets with the creditors and a bankruptcy trustee where he/she needs to answer their questions under oath. After this court decides on whether or not to approve the bankruptcy plea and the moment company gets a bankruptcy discharge they need to cease all of their operations (Chapter 7) or begin fulfilling their obligations in accordance to the financial reorganization plan they filed (Chapter 11). 1. First straight-forward telephone call- in this call debtor should be informed that the “due date” is over and asked when company should expect the payment. 2. Discontinuing all the company services debtor receives- Services should be discontinued after the first call, but before this happens company should send a written warning to the debtor. 3. Telephone calls on every 15 or 30 days- In this calls company official should inquire about the reasons why the debt hasn’t been settled yet and the debtor should be informed about the interest that’s going to be charged (according to the state regulations). 4. Writing demand letters- These should contain much harsher tone than previous calls, letters and demands and they should inform debtor about the possible scenarios that can happen if the debt is not going to be paid off in full, together with interest. 5. Possible negotiations- It’s always better to negotiate more favorable conditions to the debtor than to sue or to hire collector’s agency or a lawyer. 6. 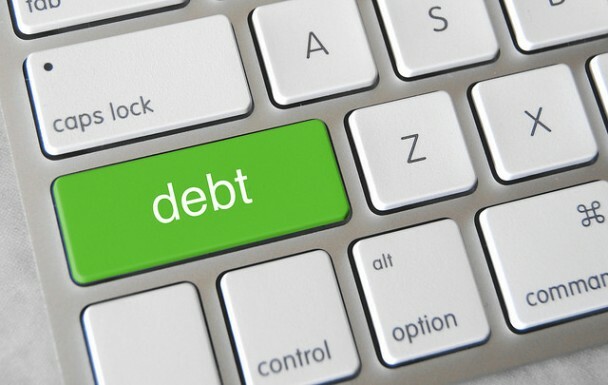 Turn debt to collector’s agency- this is usually done with big debts. Agency should be trusted and they usually take up to 50% of the debt sum. Turning debt to the debt recovery professionals is usually the best and the most hassle free path creditors can take. 7. Go to court- depending on the size of the debts can be settled on small claims court (less than $5,000), or by arbitration or mediation.